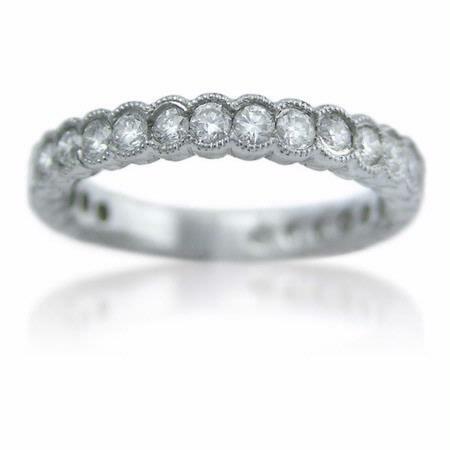 This stunning antique style 18k white gold wedding band ring, designed in Italy, features round brilliant cut white diamonds of F color, VS2 clarity, of excellent cut and brilliance, weighing .75 carat total. There is intricate detailing all along the shank. The ring features caviar beading and handmade etching along the diamonds, creating an antique style effect. 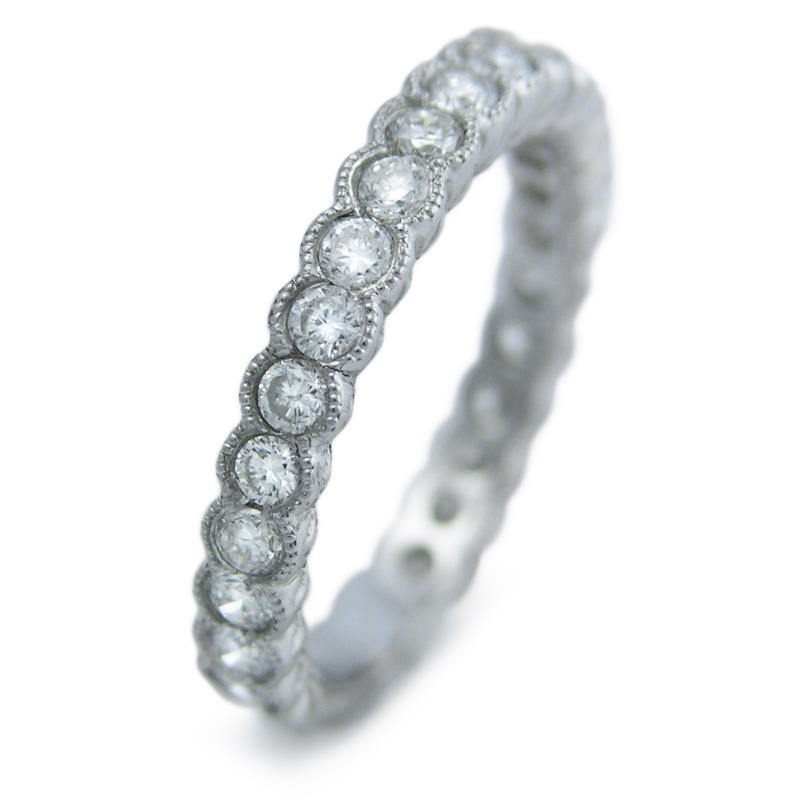 The ring is a size 4 and 3mm at the widest point of the ring.